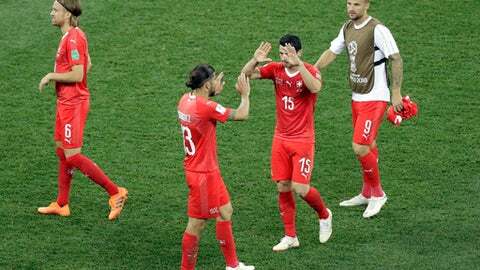 NIZHNY NOVGOROD, Russia (AP) Switzerland is through to a knockout game against Sweden at the World Cup. Half of its starting defense isn’t. But the bad news for the Swiss: Yellow cards for captain Stephan Lichtsteiner and fellow defender Fabian Schaer – their second of the tournament – meant they’ll be suspended for the Sweden match in St. Petersburg.